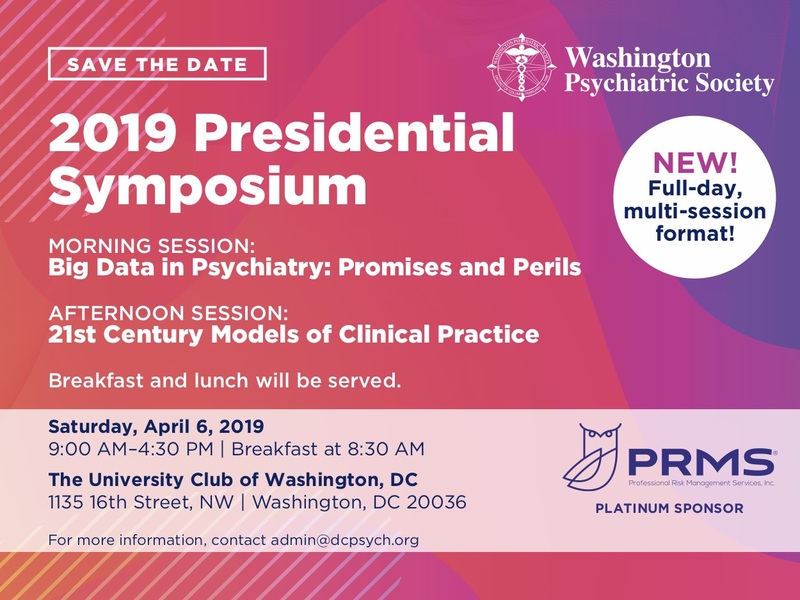 Founded in 1949, the Washington Psychiatric Society (WPS), a 501(c)(6) non-profit association is a professional, non-profit medical specialty organization with 900 psychiatrists. WPS advocates on behalf of members and their patients, provides quality continuing medical education programs, and educates the public on mental health issues. WPS covers the National Capital Area with regional chapters representing the District of Columbia, Suburban Maryland (Montgomery and Prince George’s Counties) and Northern Virginia (the Cities of Alexandria, Fairfax, and Falls Church and Arlington and Fairfax Counties), and is a District Branch of the internationally recognized American Psychiatric Association (APA).